As the right continues to try to make the IRS’ bad behavior look political, they are seemingly doing nothing more than making themselves look foolish. Fox News posted two articles at the end of the week (here and here) trying to further suggest the many times debunked notion the mistakes can be traced back to the White House and Darrell Issa also posted an op-ed in the USA Today eluding to the same. Most of their new argument is based on Thursday’s testimony of two IRS employees, one of which linked the review of groups to the Office of Chief Counsel, who is an Obama appointee. I suppose this was intended to be breaking news and something new for the country to look at regarding the ongoing investigation. Just one problem: we already knew the Chief Counsel was involved over two months ago. Call it lazy research. Call it an omission. Call it biased reporting. Call it what you want. It just looks ridiculous. Breaking news folks! The team at Fox has made it most of the way through one report released 9 weeks ago! Congrats guys! Was the targeting of Tea Party applicants directed from the White House or somewhere else outside the IRS? He then suggests judgement should be withheld until all the info is in but the implication is clear. There are many ways to word that question and make that point but he clearly refuses to stop linking the scandal to the White House despite having zero evidence. If you have been paying close attention to the scandal and watched the 5 hours of testimony Thursday, you’ll notice an evolution in the argument coming from the right. At first, they suggested the targeting itself was political but that has been debunked beyond any doubt at this point and there is no longer an argument there considering the mountain of evidence against it. Now the argument is the delay in giving the non-profit groups approval was political. And it turns out this argument may be showing the hypocrisy of the right considering they might be the side that created the problem that led to the delays. 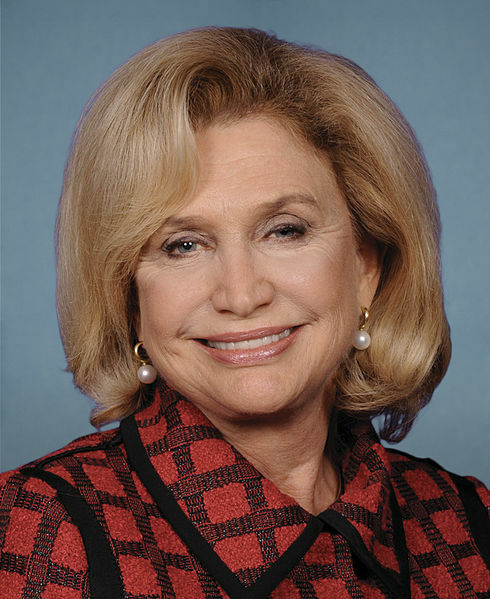 Representative Carolyn Maloney-D, New York. In other words, the old conservative strategy of “starving the beast” has worked perfectly for them in that it has created underfunded agencies incapable of doing the work imposed on them by the government and now they get to yell “fire” where they lit the match. Well, she (Lerner) was trying to fix the problem. She…recognized, then, that these criteria were inappropriate, to use any names regardless of political party, and she was trying to fix it. She might not have been perfect, but it certainly seems like she wasn’t as bad as the right is making her out to be. There are two other exchanges I would encourage people to watch from the IG testimony. The first (at 2:10:12) is Democrat Carolyn Maloney holding up and showing the training manual from the IRS that encourages employees to look for terms like “Republican, Democrat, donkey, elephant, Tea Party, and progressives.” The IG explains he just received the document last week so this was not included in earlier testimony and reports from his office. 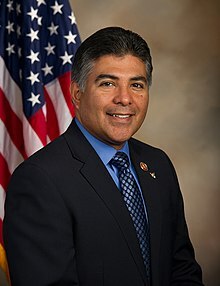 The second (at 2:18:16) tip of the hat goes to Democrat Tony Cardenas of California. He simply asks the IG to identify if he has any evidence regarding accusations by Republicans, such as Representatives Issa and Rogers and Senators McConnell and Cruz, and if any of those outlandish claims have any truth to them. Answer: nope. Nicely done Mr. Cardenas! I’ve said before the IRS acted poorly in this situation but the evidence continues to mount that none of the wrongdoing was political in nature. And as this evidence mounts, the folks on the right trying to reach for anything they can to prove what isn’t true just look more and more ridiculous as time goes on. Keep up the good work Fox and Issa! We surely enjoy watching you show the world your true colors! Posted on July 21, 2013 by Paul PhillipsPosted in Media, Politics, UncategorizedTagged carolyn maloney, carter hull, darrell issa, FOX news, irs scandal, tea party irs scandal, tim walberg, tony cardenas. There is a significant difference in the charge that Mr. Wilkins may have known of different treatment being accorded Tea Party applications and this NEW TESTIMONY from 2 IRS workers that he directed them to single out Tea Party groups. Your attempt (like others who are “covering” this on the left) are either politically biased attempts to gloss over this distinction or under-informed. Wilkins did not direct them to single Tea Party groups. That was never stated in the testimony, neither employee stated that, and the timeline of events proves that is not true. The targeting started in February/March of 2010 according to the TIGTA report. Hull did not received the two cases he worked on until April 2010 and he did not meet with the Chief Counsel until August of 2011. The timeline shows the targeting started from the bottom of the IRS then worked its way up as higher and higher management learned about it. There is no proof or testimony of anything else at this point. To the extent that Noonan’s reference of Hull’s testimony is true it contradicts your timeline and claim that Wilkins was not involved in the targeting. It bears more scrutiny and although the right is beating the drums on this, (overly so IMO) I don’t agree that there “embarrassing themselves” either. Yep, I saw that already and two things. First, there isn’t evidence yet that this made it to the Chief Counsel’s office until the meeting in August 2011, just that there was a recommendation and it could have happened. It’s not impossible that it happened then, but there is no indication it did at this time. Two, and this is the really important part, you are still ignoring the dates. The winter of 2010-2011 is after February/March 2010 when the targeting started. In other words, zero evidence the Chief Counsel’s office was aware of the targeting until long after it had started which means the one Obama appointee had nothing to do with beginning the idea. When there is any hard evidence suggesting otherwise, I’ll listen. Until then, I’m correct according to what we know. It wasn’t political. It was a bad decision at the lower levels of the IRS. Can you post or forward your IRS hearing link? I’m watching on YT and your time marks don’t match up w/ the testimony. Links are in there but I just noticed how difficult they are to distinguish. May have to change the look around to fix that. I feel much the same way regarding “hard evidence” but they won’t get any if they don’t investigate. The current emphasis is data mining computers of IRS officials like Wilkins, his deputies and two of his attorneys. Hopefully, we’ll know what he knew and when he knew it.